It's kind of appropriate that I'm posting this review on a Friday, as NYC's Heap are the perfect weekend band: loud, energetic and hooky. I first took notice of Heap a few years back with their debut release On The Cheap, and the followup may be even better. Fans of Cheap Trick, The Replacements and The Figgs should be all over this one. "Explode Tonight" is a fitting title for the album opener, and this 'Mats-style rocker does not disappoint. "When They'll Be Gone" follows, and it rocks in the style of Keith Richards' numbers with the Stones ("Before They Make Me Run" comes to mind here), and the raucous title track gets the album off to a great 3-for-3 start. "Like Water" takes a sonic left turn, showing the band's versatility on a wonderful country-rock number that would be at home on a Reckless Kelly or Steve Earle album. Other highlights include the boogie rock of "Running with Roosevelt Colson", the Americana of "I Always Go Too Far" and the pure power pop of "Start Lying". This one needs to go to top of your heap. 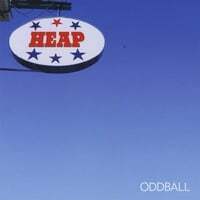 NOTE: Simultaneously with Oddball, Heap has put out a live album that really captures their energy and serves as a de facto best-of the first two discs. 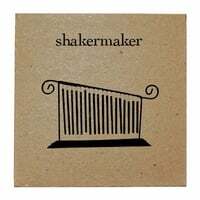 Shakermaker-Shakermaker. Given that the band is apparently named after an Oasis song, you might expect brash, Beatles-influenced BritPop from this Chapel Hill, NC combo. If so, you would be wrong. Instead, this is high-quality melodic indie pop, kind of a southern-fried version of The Pernice Brothers. Opener "Frenchie" and its tastefully placed "whoa-hos" draw you in, and the jaunty "All Over Town" yields the Pernice comparisons, reminiscent of tracks like "One Foot In The Grave" and "Working Girls". The real standout here is "Sunday Ladies", a true pop triumph that veers from Shins-ish indie pop, to the Beatlesque, to music hall and back again all in the space of a few minutes. Really good stuff that may not jump out at you at first, but bears repeated listens. 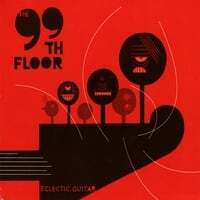 The 99th Floor-Eclectic Guitar. Boy, that album title has been out there a long time waiting to be used, and leave it to a Norwegian band to claim it. Nevertheless, this isn't the type of Scandinavian power pop we're accustomed to from The Merrymakers et al; it has a more rocking edge to it. In fact it owes more to bands like Supergrass and The Stereophonics in tracks like "Headspin" and "Cool Is Dead". Meanwhile, leadoff track "He Will Get to Call You Sweet Things Now" incorporates some tough R&B for a Jam-like sound and "Trampoline" is jangly bliss. So they earn the "eclectic" in the album title, and despite the differing styles, it's all good. Theyyyyy're back. 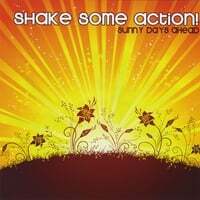 James Hall & Co. have brought us Sunny Days Ahead, the long-awaited (OK not that long - the first one came out about 16-17 months ago) followup to Shake Some Action's eponymous debut which placed at #27 on last year's Top 100. All of the things that made the debut great are here again on Sunny Days Ahead: the retro late 70s-early 80s sound that nevertheless doesn't seem dated, the Rickenbackers, the great tunes, and of course Hall's vocals, which fit the material and the sound perfectly. But there a few differences. There is a bit of a harder edge to the tunes, evident right off the bat in the Kinks-ish "Get It Together" and "Looking for Someone", the former of which has a "You Really Got Me" vibe to it. In fact, "You Don't Care", which appears about midway through the disc, rocks harder and louder than anything on the first disc. Which is not to say that all the amps are turned up to 11 - "Hurry Up" and "I Don't Want to Talk About" have a great Merseyside jangle to them, while "Draw The Line" displays a real swagger. Meanwhile, "Curtain Call" has just that sort of Nuggets-style feel to it that Green Day captures on their Foxboro Hot Tubs release. So while Sunny Days Ahead might be a semi-ironic title for a band that hails from Seattle, it's an apt descripton for power pop fans who take the time to pick this one up. Vic Kingsley-These Frequencies. Vic Kingsley is a Miami band that takes its name from the stage name of its frontman, Vic Garcia, and These Frequencies is a quality debut that fuses power pop, indie rock, alternative rock and BritPop. Fans of The Crayons, The Churchills, Supergrass and Oasis will eat this one up. Opener "Last Satellite" is a potential hit in the making, as is "Undercover", possibly the disc's best track. Other standouts include the anthemic "You Are" and the power ballad "Singing It Out Loud". It's nice to see Miami's good for more than Latin music. 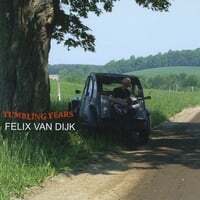 Felix Van Dijk-Tumbling Years. Those of you who enjoyed last year's Steve Robinson disc (like me) will definitely want to check out this debut release from actor-turned-musician Felix Van Dijk, a winning combination of pop and folky pop with a British sensibility. Notable is that none other than Paul McCartney added a chord or two to "This Lullaby", the kind of heartfelt ballad with which Sir Paul is more than familiar. But with or without a Macca contribution, this album stands on its own with quality tracks like the uptempo "Barefoot In The Sand", the breezy "Heart of Your World" and the wonderful ballad "Forever In My Heart". If your tastes run in this subgenre at all, you'll love this disc. 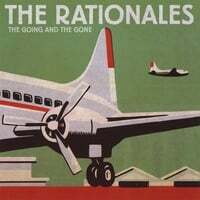 The Rationales-The Going and the Gone. Longtime readers of this blog know I have a soft spot for bands that bridge the divide between power pop and alt-country, and this Boston band has done just that on their debut EP. "No Guarantees" is the track that hooked me in, and it manages to fit influences as varied as Wilco, The Old 97s and Big Star into its 2:14 running time, and it reminds me as well of Signal Hill Transmission, another similar band who I've championed here at AbPow. 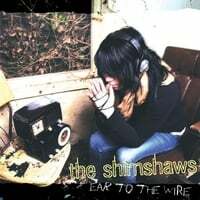 Also worth the price of admission are the instantly catchy "Far Away", the jangly "Cliche" and the pedal steel-drenched closer "Ruby Covered Halo". If this sounds like it's up your alley, it would be downright ir-Rationale to pass on this EP. 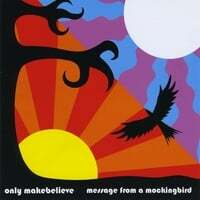 Only Makebelieve-Message from a Mockingbird. This Ohio band's debut album was four years in the making, and it most definitely sounds it - a sprawling, densely-produced soundscape that will immediately appeal to those who prefer the "artier" side of pop and power pop. Bruce Brodeen mentioned XTC, late-period Tears for Fears and Roger Joseph Manning Jr. as touchstones for this disc, and to that I'd add hints of The Foreign Films ("Fly So High", "Rayna's Smile"), Pale Hollow ("Backstab", the most straight-ahead track on the disc and perhaps the best) and Eldorado-era ELO ("Spending My Life"). Definitely a disc that warrants repeated listenings. 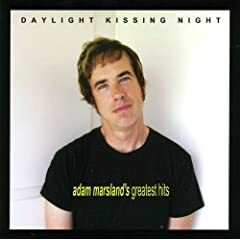 Adam Marsland-Daylight Kissing Night (Greatest Hits). SoCal's Adam Marsland has been burning the power pop flame for over a decade now, and he's earned the right to put out a best-of collection. So if you haven't kept up with the catalog of this idiosyncratic popster, this is your big chance. To commemorate the occasion he's re-recorded several tracks, including the leadoff track "My Kickass Life", quite possibly the quintessential Adam Marsland song in that it perfectly marries his literate, witty and sardonic lyrical gifts with a killer melody. Beyond that - let's just say you can't go wrong with the other 19 tracks either. A kickass compilation. Lord knows you could play "spot the influences" all day with Grenadier, and you'd be right--Elvis Costello? The Sweet? Weezer's 'Blue Album'? wha? But it's a fool's errand (or music critic's bibliography). Yes, Grenadier can't help but acknowledge great music past but somehow they always make more than pastiche or homage. Way to pre-empt me, guys! Anyway, this isn't a typical power pop disc - it has enough rough edges to qualify as indie rock, and at times it reminds me of Guided by Voices with a longer attention span. (Whoops, there I go again). The Elvis C "influence" is most profoundly felt with "Tolerance", complete with Costello-style vocals. Adam Merrin is back with a full-length disc, and best of all it's free. For those unfamiliar, Merrin mans the keyboards for The 88, and released a quality EP last March (Have One) which drove a lot of traffic to this site after "Still Alright" was featured on Grey's Anatomy. The full-length is titled (so cleverly) Have Another One, and last.fm has it free for download. The EP was excellent, and you can't beat the price for the full-length. 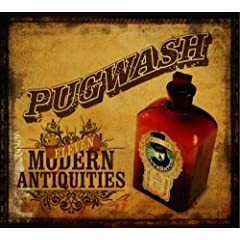 This is a bit of me putting the horse behind the cart - you may recall the latest from Pugwash (a/k/a Thomas Walsh) was #8 on my first quarter best-of list before I had even mentioned it on this site. And Jollity, his previous release, was my #13 disc of 2005. Moreover, odds are if you're reading this blog you already know about this release. Nevertheless, it's so good it deserves a proper review. Eleven Modern Antiquities is a worthy followup to Jollity, and all of the things that made that disc great are present here, perhaps even more so. For example, Jollity had one track co-written with XTC's Andy Partridge; this one has two ("My Genius" and "At The Sea"). Fellow XTC member Dave Gregory is back to play on several tracks; Eric Matthews contributes flugelhorn on "At The Sea", and Nelson Bragg figures into just about every track as well. Plus Michael Penn shows up for a guitar solo on "Limerance". Power pop doesn't get any better than this on paper, and thankfully the songs are the equal of the luminaries on board. Standouts include "Take Me Away", for which I've helpfully appended a video at the end of this post (and on which Jason Falkner adds guitar); "Here", the kind of stately ballad that McCartney and Partridge (and now we can add Walsh) are so expert at; the poptastic "It's So Fine", and "Your Friend", Antiquities' answer to Jollity's Brian Wilson-influenced "It's Nice to be Nice". 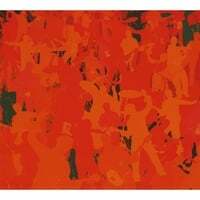 As I said in so many words about Jollity, XTC may be gone now, but as long as Walsh keeps putting out great discs like this, you won't miss a beat. May is turning out to be roots-rock month here at Absolute Powerpop. On the heels of last week's featured Brewery Records releases, here's one of the leading lights of the subgenre, Mr. Tim Lee and his latest. Lee, one-half of the semi-legendary and criminally overlooked The Windbreakers (along with Bobby Sutliff), has carved out a distinguished solo career and here he's released Good2b3, his first full-length as the Tim Lee 3, a band comprised of Lee, his wife Susan Bauer Lee (who wrote and sings on many of the tracks), and Rodney C. Cash. The melodic rocker "'Til The Roof Caves In" kicks off the proceedings and features a blistering guitar solo from Lee. "Saving Gracie" follows with a purer power pop sound, recalling The Smithereens and featuring a vocal turn from Mrs. Lee. Meanwhile, "Chronic Liar" is a Windbreakers-style jangler that she wrote, and if you look up "roots rock song" in the dictionary, "Mile-Long Midway" would (or at least should) be there, replete with its references to corn dogs and KISS T-shirts. I'd say Good2b3 is Good2pickup as well. Orchid Highway gets a US release tomorrow. Rainbow Quartz has picked up last year's most excellent (#39 on the year-end list) Orchid Highway disc for US distribution and it hits the street tomorrow. What this means is that aside from being available from more outlets, it should also finally show up on eMusic, iTunes and all of the other online download sites. So if the import price scared you off last year, your moment is now here. UPDATE: Here's the eMusic link for the disc. Also, eMu has added (and RQ has released) Now, the latest from Spanish psych-poppers The Gurus. 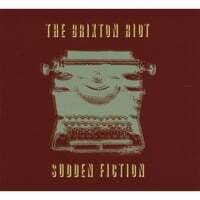 The Brixton Riot-Sudden Fiction. Although the name might call to mind the classic Clash tune "Guns of Brixton", this New Jersey band's debut EP is more reminiscent of The Replacements and fellow Jerseyites The Smithereens. The former is definitely in influence on the opener "Battle of the Band", which recalls "Talent Show" and "Deal With the Devil" brings to mind "Can't Hardly Wait" (and by the way, here's a video of them covering that 'Mats classic in concert). Meanwhile, the insistent bassline of "The Single Life" is mod-rock for the new century, and "(There's) Something In The Air" is a midtempo number based on The Shining. Really good stuff, and here's looking forward to a full-length. 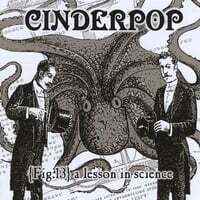 Cinderpop-A Lesson In Science. This is the followup to this Vancouver band's fine 2005 debut, Their Skies Are Beautiful, and they have another indie pop success on their hands. Although you'll hear some Shins and Spoon in the music, they have a purer pop sensibility than most indie poppers; in fact they're more like a cross between the Shins and Sloan. Highlights include "Bumblebee", which marries a typical indie pop sound with a heavenly pop chorus; "Speechless", which has a touch of McCartney; and my personal favorite "Cinnamon Winter", about as pure as pop gets. Mikal Blue-Gold. Speaking of pure pop, here's Californian Mikal Gold with a disc that has an unabashedly 80's mainstream pop sound. There's a fine line between cheesy and sublime when you get into this subgenre of music, and like the Chris Murphy disc from a couple of years ago that I enjoyed, Mikal Blue manages to just stay on the right side of this divide with an assortment of tunes whose hooks will bury their way into your head. The title track is Exhibit A for this assertion, while "Heaven" and "Never Gonna Stay" make fine Exhibits B & C. And "Pepper" is an absolute pop gem with a nice touch of the Beatlesque. Brewing up some good music. Most of you are familiar with Walter Clevenger, perhaps the pre-eminent roots-rockin' power popper around these days, but many of you may now know he also has his own label, Brewery Records. Brewery puts out a few discs a year, but they're generally always winners, like 2006's Sugar Mountain and Tickets releases. Walter and Brewery are back now with two new releases from The General Store and Kingsizemaybe. 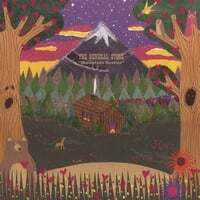 The General Store is Tam Johnstone, son of Elton John guitarist Davey Johnstone, and Local Honey, his debut 2002 disc on the Not Lame imprint, is one of the classics of the decade, especially if you're a fan of laid-back west coast country-inflected pop. Mountain Rescue, six years in the making, proves that Johnstone isn't suffering from the sophomore jinx. From the "Already Gone"-ish opener "Early Morning Fuzz" to the Jayhawks-like "Come Around" to the Brian Wilson-on-acid sound of "Girls From The Mall" to the rollicking "Desert Weathered Hiway", it's like getting the real new Eagles album without having to go to Wal-Mart and wading through 2 CDs of a mixed bag. 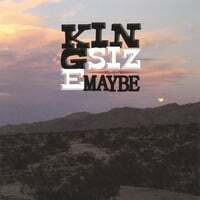 The other new Brewery release is the self-titled debut of Kingsizemaybe. While The General Store has some country influence, Kingsizemaybe is closer to straight-up alt-country. The band is a bit of a supergroup, including ex-Continental Drifter Gary Eaton (who is the nominal frontman), and the ubiquitous Robbie Rist (the former TV child star turned power pop producer and session man). Highlights here include "The Treasure of Love", kind of like the Old 97s meet The Waco Brothers; the Band-influenced "Big Maybe", which could serve as their theme song; and the wonderful ballad "The Beautiful North", which reminds me of Reckless Kelly. No maybes about this one; while it may not be power pop, it's great listening if you like alt-country. I'm tempted to merely say "what he said" and link to this fairly scathing review of Bryan Scary & The Shredding Tears' Flight of the Knife, which is in today's Pop Matters. That site has been generally sympathetic to power pop (unlike, ahem, this site), so I don't see the review as emblematic of any hostility to the genre on their part. Now I wouldn't go so far as the reviewer and give it 3 out of 10, but he does hit on why I wasn't bowled over by the disc - it's just too damned busy. Listening to at times is like watching a Michael Bay movie after drinking 6 cups of coffee. I don't remember the exact quote from legendary rock critic Robert Christgau, but in essence he said that rap took songcraft and isolated its essential element, the hook, to the point where rap was all hook and no song. In a way Scary has done likewise here, taking the essential element of bands like Jellyfish, Queen et al (the quirk? the baroque? I'm not sure what exactly to call it) and elevated it over the songs themselves. Scary is a wonderfully talented musician and I'm just a guy with a computer, so keep that in mind here, but that's the way I see it (or more accurately, hear it). 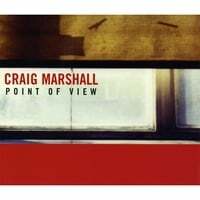 It's always good to see new releases from dependable power pop artists, and proof of that fact comes courtesy of none other than Craig Marshall, whose Popular Crimes and Before The Fadeaway established the Austinite as someone worth giving a listen. Now he's back with his third disc, Point of View, and fans of artists like Jim Boggia, Richard X. Heyman and fellow Texans Fastball will definitely want to give it a spin. "Difficult" might be one of his best tracks yet. It's a hooky and melodic number as they go, and then around the two-minute mark we get a nice piano break and some Beatlesque harmonies before the chorus fadeout. Other standouts include the British Invasion-inspired "I Know What It's Like", the roots-rocking "When You Come Back Down", and the gorgeously melodic "Paper Cut", which almost sounds like a Brian Wilson version of Badfinger's "Day After Day". Also of note is "One Face In The Crowd", which is where the Fastball comparison comes in. I'm already looking forward to album #4. We've always enjoyed Arthur Yoria around these parts, so I'm happy to report that he has a new single for free download at his site, titled "The Libyans". (Maybe it will settle how we spell Muammar's last name - is it al-Gadhafi, al-Khadafi, al-Qaddafi or something else entirely?). as you may already know, i'm going to be releasing a digital single every 2 weeks for the next 6 months starting may 4th, 2008. then i'm going to let you guys vote on the 10 tunes that will make up my new record. Using my advanced mathematical ability, I figure 6 months=26 weeks, 26/2=13, so that means we'll have 13 tracks to consider. (Maybe 12 if he goes bimonthly rather than biweekly, or just quits after 12). Early last year, I featured Later, the impressive debut from then 19-year-old John Krueger which came in at #90 on my year-end top 125. He's just released a followup, titled Rock & Rhyme, and the best part is that it's free for download from his official site. I haven't listened to it yet, but if it's anything like the first, fans of the Bens (Folds, Kweller, Lee) will dig it big-time. If you want to sample before downloading, or end up liking it so much you want the CD, it can be found at the Baby.